Finnair will work with Apple and IBM to develop a set of enterprise iOS apps for airplane mechanics and their supervisions. The software is expected to be available in early 2017. Apple this week signed on another large business customer through its partnership with IBM. The deal will see Finland's largest airline use iOS apps for technical operations and customer experience. Finnair says it carries more than 10 million customers each year between 70 cities in Europe, 17 in Asia and three cities in North America. Finnair has a team in place at IBM's "MobileFirst for iOS Garage," which operates as a collaborative development hub for iOS enterprise apps. IBM says its MobileFirst for iOS customers have direct access to the world's largest concentration of developers that use Swift (Apple's programming language for iOS, macOS, watchOS and tvOS), designers, integration experts and enterprise iOS consultants. The airline will also be the first organization to use IBM's "Mobile at Scale for iOS" design and development model, which is meant for companies that plan to develop multiple iOS apps. The integrated program aims to speed up development and increase efficiency of iOS apps, and it can reduce development costs and time by as much as 25 percent, according to IBM. The aircraft maintenance team in Finnair's technical operations division will be among the first to use applications from the effort starting early next year, the companies said. An app called "Inspect & Turn" will provide aircraft mechanics with digital checklists and analytics-driven recommendations to help safely complete tasks. Another app that's under development, called "Assign Tech," will give aircraft mechanic supervisors an overview of flight schedules, maintenance processes and mechanic availability, with recommendations based on each mechanic's skills and certifications, according to Finnair. IBM Cloud will host and manage the apps. "Our collaboration with Apple and IBM is an important building block in our digital transformation," said Katri Harra-Salonen, Finnair chief digital officer, in a statement. "We want to link our employees with the insights they need to make better decisions." 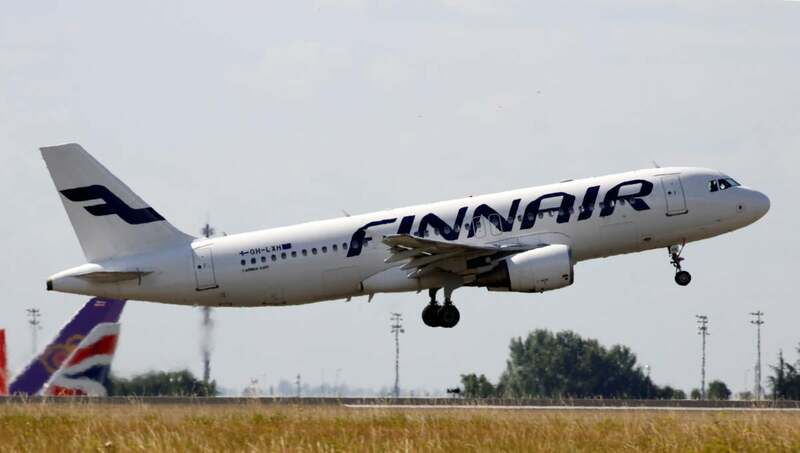 Raimon Christiani, global industry leader at IBM's travel and transportation unit, said Finnair's work will set an example of how iOS can help large enterprises achieve digital transformation. "Rather than using mobile in silos, the airline is looking to IBM's industry expertise and solutions to digitize the entire airline," Christiani said in a statement.